The first word of the Holy Quran that was Revealed to Prophet Muhammad (PBUH) was ‘Iqra’, meaning to Read or Recite. One of my fondest childhood memories of Pakistan is that of stopping at hawkers’ stalls by the roadside, browsing through the stacks of unwanted books of the so-called raddi wala or old bookseller, and many a time finding a real gem. One often witnessed only one or two curious customers around these carts. If a book of interest was found, I would buy it and begin to read it on my bus route. Usually, I would see no one else on the bus reading a book or a newspaper. Most of my fellow passengers would be staring outside the window of the vehicle, gazing at the emptiness beyond. It was an awkward feeling to be usually the only one not staring outside. But after moving to the US, my observations were completely the opposite. It would feel awkward on a bus, train or plane ride, if I was not reading anything. I recall my first Urdu essay in school titled Books: My Best Friend. 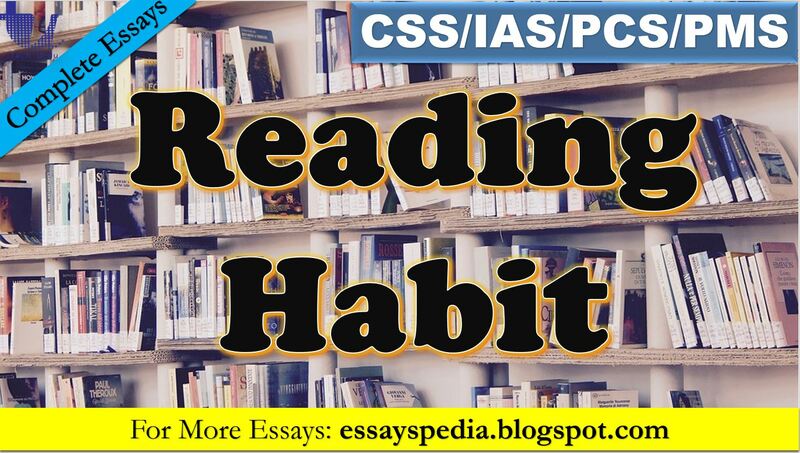 I remember writing in the essay that if one had acquired the habit of reading, one was never alone. One could travel around the world sitting in one’s home. The importance of reading has been very much stressed in Islam. In fact, the first word of the Holy Quran that was revealed to Prophet Muhammad (PBUH) was ‘Iqra’, meaning to read or recite. Muslim history is filled with multi-volume libraries that formed an important part of literate Muslim cities. Reading as a means of learning is a part of global culture. Muslims in this day and age tend to claim too much about their past achievements; in contrast, now they seem to have significantly lost the zeal for learning and exploring through reading that they once had. As we read, the mind acquires new knowledge and new pathways of thinking are developed, many times leading to inventions. It was through translating and reading Greek books that Muslims in their glorious past made new knowledge available to the world. It is best if started early. Cognitive sciences advise parents that reading books at the earliest time is useful for the cognitive advancement of even the unborn child. With this knowledge, when blessed with kids, we made sure they grew up with a strong habit of reading, initially by reading a book to them every night, and later their school made reading part of the curriculum even during the vacation breaks. We always make sure the kids have books whenever we go shopping, or take a road or air trip. We have seen the impact of this habit as our kids have grown up with a passion for reading and in the process, know their world much better than we knew it at their age. For those still new to this habit, reading a magazine or newspaper is a good way to start. But to make reading truly beneficial for our brain’s growth, it should involve subject and content that are new for us so the brain has to make an effort to understand it. It is just like exercising our muscles. Unless we challenge them with increasing weight, the muscles won’t grow in size and strength. So is the case with the human brain. During my recent visits to Pakistan, I felt that more bookshops have sprung up but that public interest still needs to catch up. Some of our movie nights have to be replaced with reading nights. We need to frequent bookshops and libraries as enthusiastically as we go with our families to the rapidly increasing number of restaurants and shopping malls. If we look at the Quran, hadith and Muslim literature we come to realise that these sources encourage us to reflect on the universe and that it is not possible to do so without rich reading and learning from others. The rise of Muslim societies was thanks to reflection, making knowledge their own and feeling no shame in borrowing from others, as they believed all knowledge is a Muslim’s lost treasure. Today, that space needs to be reclaimed; as Hazrat Ali has rightly said that do not look at who has said it, look at what has been said. ← How to Recover a Deleted Facebook Post?